How could I be a decent parisienne who loves the history of fashion and not talk about the Galliera Palace? Well, I couldn’t, because it’s Paris fashion museum. I couldn’t for several reasons. First of all, the building, which was built between 1879 and 1894, radiates with beauty and majesty. From a slightly messy association of artistic references arises a palladian Neo-Renaissance style. However, the numerous references do not diminish the atmosphere of peace and harmony that surrounds the building. The building was originally built to house a museum. 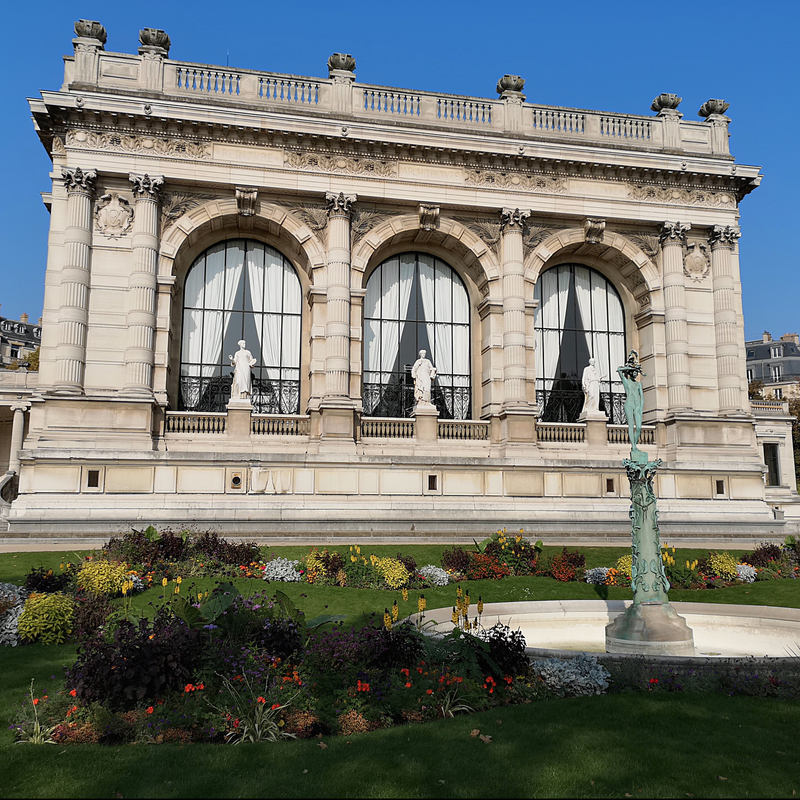 A museum that was supposed to welcome Marie Brignole-Sale, duchess of Galliera’s collection, which had nothing to do with female garments but everything to do with sculptures and paintings. Following a legal imbroglio, the collection ended up in Italy and the museum, although fully built, remained empty… until it became a museum of industrial arts in 1895. It only became a museum dedicated to fashion and historical costumes in 1977. It’s also impossible for me not to mention the Galliera Palace because of the absolute treasures that the museum can bring together for the time of an exhibition. It really is the only place where one can admire ancient XVIIIth century costumes, aerial Paul Poiret dresses and Dior gowns. Anecdotal history crosses path with History as one reads the descriptions and realizes how nearly all the pieces were worn by great names of the political or artistic spheres. Given the fragility of collections, the Galliera Palace does not offer any permanent exhibition. For the same reason, pictures are strictly forbidden inside the museum, which explains why you won’t get any pictures of the breath-taking exhibitions that I have seen in the last few years. This place is, in my opinion, magical, in the full scope of that word. The atmosphere is that of another time, bringing ancient times back to life, and one can’t wander through this palace without feeling that they’re suddenly in a dream or a fairytale. You can visit Sleeping Beauty’s palace, it’s right here in Paris.